What motivated you to start writing H. M.? To centralize on a subjects that are near to my heart and that I’m passionate about – the Gospel and Christian community. It’s where my mind churns. I also like food. It’s a good mix. I needed a platform that was fast and efficient. With previous blogging experiences, I was self-hosting the platform and I found that I was spending far more time trying to upgrade and update the platform than actually writing on it. Also, my posts were longer to give more content. Nothing against longer posts, they’re just harder to keep a reader with you in a digital format. Some of my favorite blogs which are consistently interesting keep their posts to paragraphs and under a page. So, I will try to do the same. To the point – posts! I needed a simple blog to collect, work-out, and share my thoughts. I find the activity of writing is very helpful for refining other areas of ministry and study in my own life. Also, I desired a platform that would be very easy for people to receive the posts by email as well as reply to them. Many people find it more convenient to receive the posts by email than visiting the blog or through an RSS reader. So, I thought it would be good to offer all three. Will you have other contributors to H.M.? 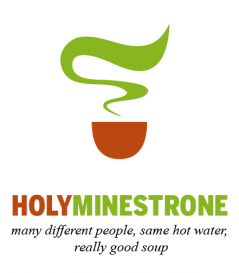 Yes, if they’re interested in making good minestrone. If they can’t cook – fo-gett-about-it as we say in Italian. What do you do in Italy? Being an evangelical Christian is a full-time job here. So first, I live out the Christian Faith and compassionately point people to Jesus. Then, I’m a husband which is a great gig, too! Oh, I’m also a father; another great gig! In addition, I’m called to pastor a really neat church we call Serenissima and plant more churches just like her. Can I come spend time with you in Italy?